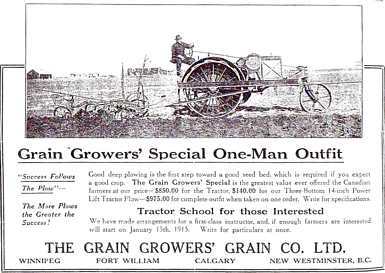 Introduced in 1914, the Twentieth Century was a three plow, three wheeled tractor with a suggested rating of 12-24. 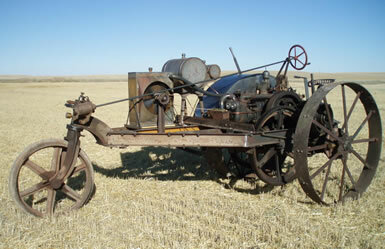 The model TK engine was a 2 cylinder opposed with a bore & stroke of 6 x 8. 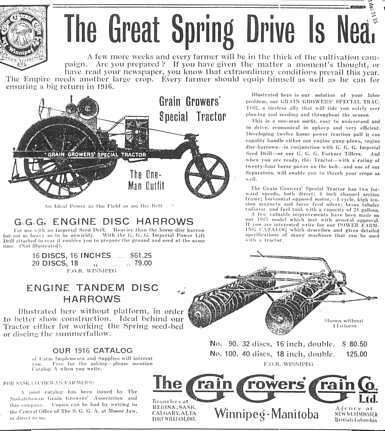 MS&MC was manufacturing the Bull tractor at this time for Bull Tractor Company also. The Twentieth Century looked much like the Bull, however, it was considerably larger. MS&MC agreed not to sell their version of a low priced three wheeler in the United States due to similar appearance of each machine. 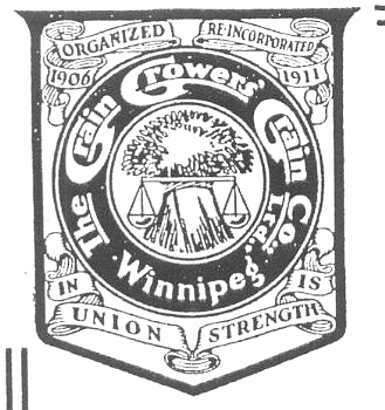 A five year contract was signed with the farmer owned Grain Growers Grain Company of Canada to meet their needs for tractors. It is believed that demands created from World War 1 canceled this contract early because the Twentieth Century seems to disappear from the listings during 1917. 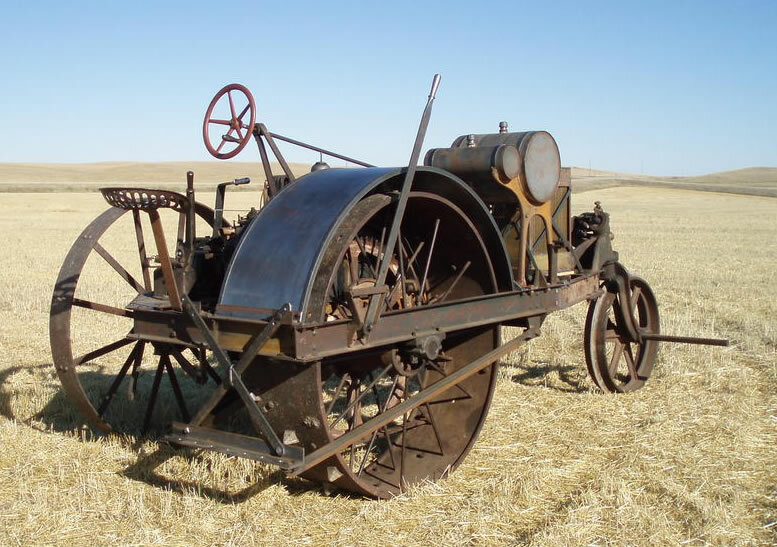 Early production machines had the fuel tanks mounted forward above the frame and location of the radiator was on right hand side of tractor. 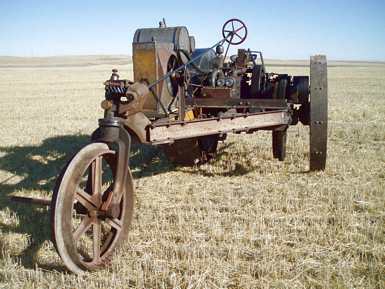 Later production runs have the fuel tanks mounted on the fender and radiators have been moved to left side of machine to enhance operators view of the furrow. 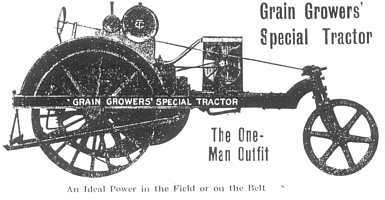 There are three known survivors of Twentieth Century tractors. One of them resides in Washington state and the other two are in western Canada. All three of these machines have serial numbers that fit into the 10001 - 10100 range. Number 10027 is shown here after an extensive and lengthy restoration that required the fabrication of many parts. 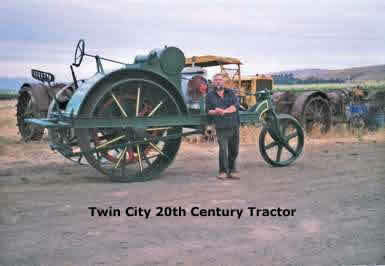 Owner Buck Charles (above) is pictured with serial number 10061. Number 10097 appears to be very complete and is in storage at the Western Development Museum in Canada.